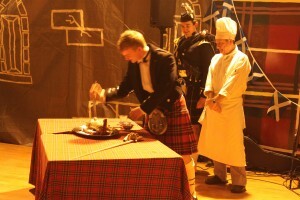 A great time was had by all at the Royal Navy Burns Supper at Glasgow University at the beginning of February. 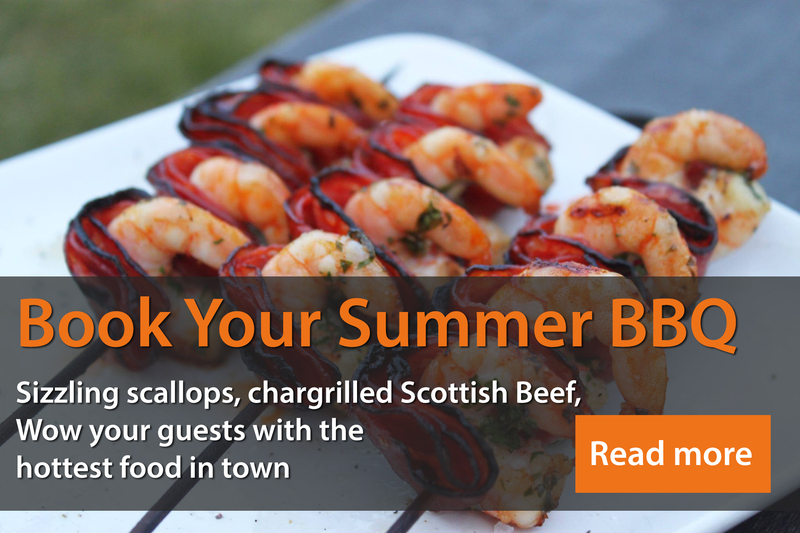 Our clients were delighted with the supper served & had a splendid time. We did too, this is always a brilliant event. Chef Craig’s fantastic presentation of the Haggis, Neeps & Tatties with Whisky sauce never fails to hit the spot & Chef Allan’s Clootie Dumpling with Drambuie Custard was an absolute delight at dessert. In the photo below, Toastmaster James shows great aptitude in his haggis-stabbing technique following the address to the ol’chieftain. We think either he’s done this before or else he’s been watching a bit too much Dexter over on the Fox Network!! Hello Mr Haggis, meet my little friend! Toastmaster James takes on the ol’ chieftain at The Royal Navy Burns Supper 2013 at Glasgow University.